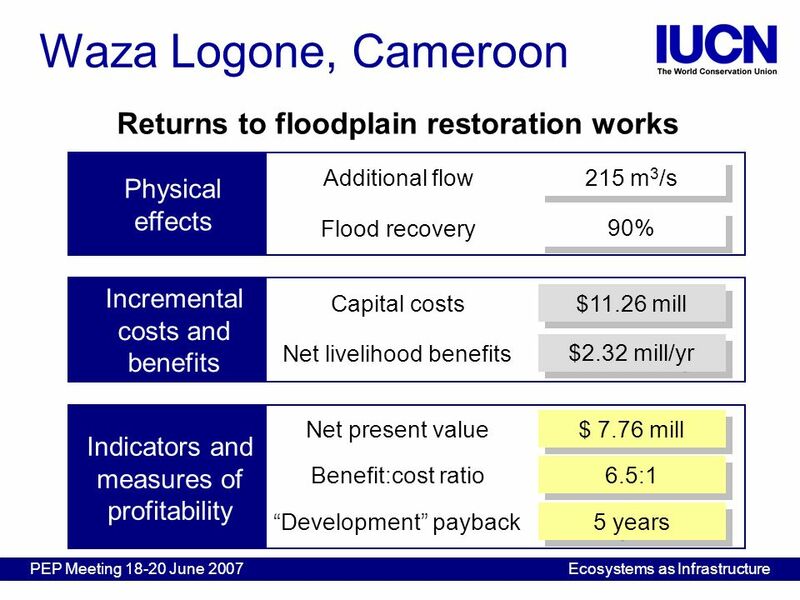 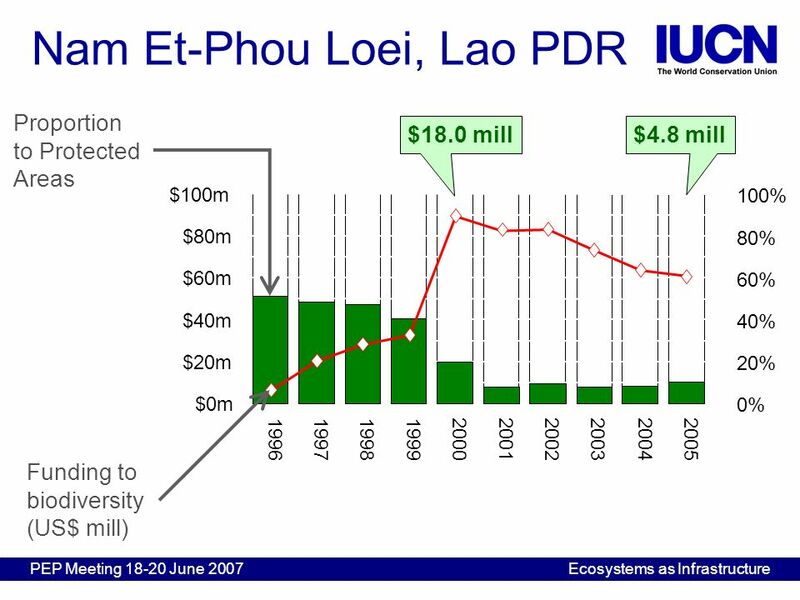 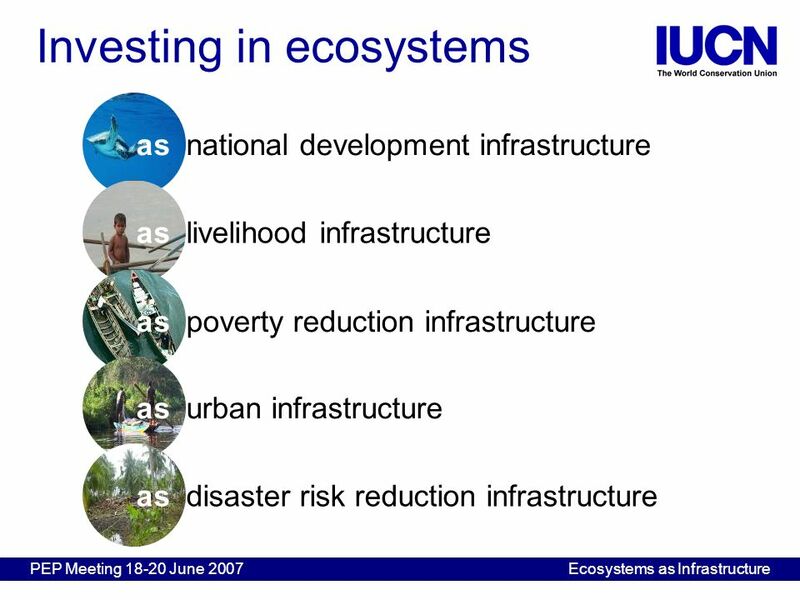 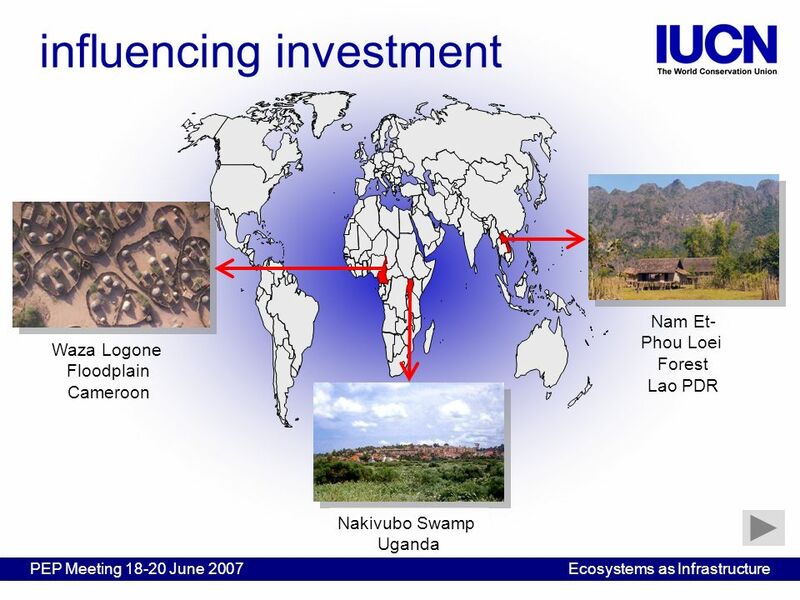 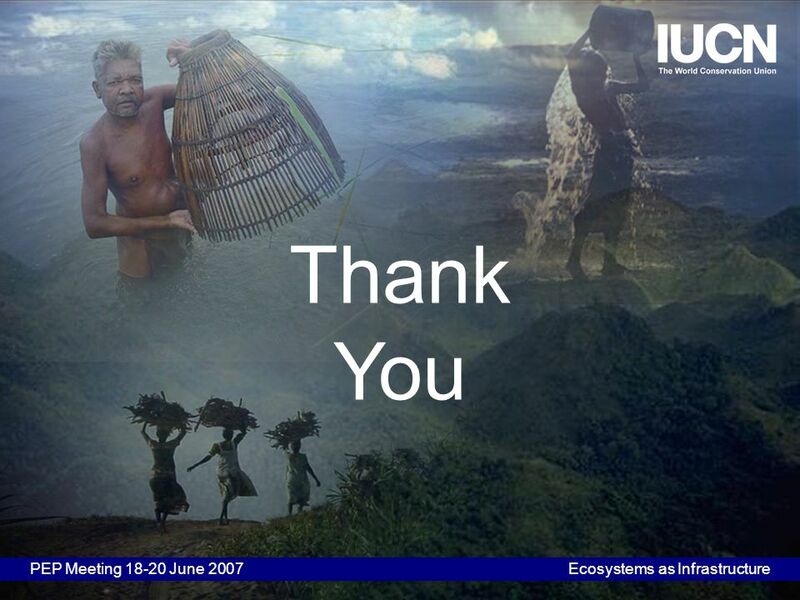 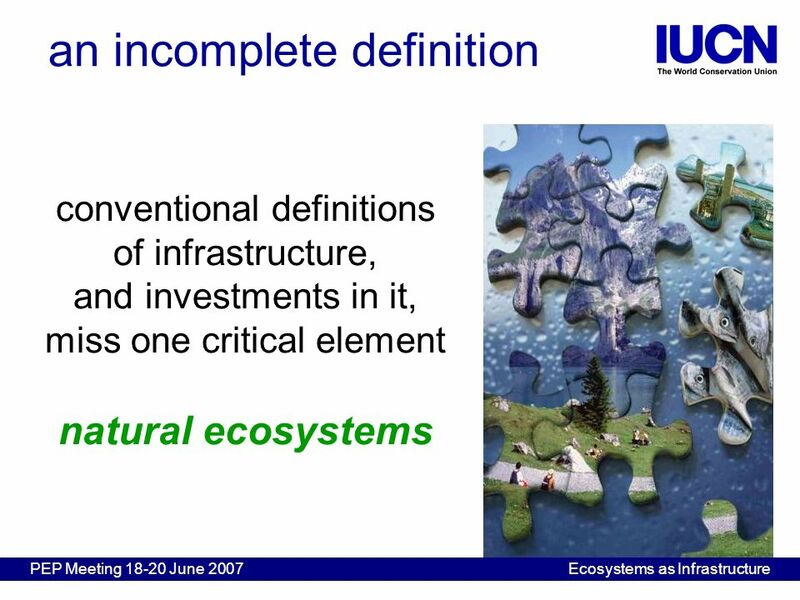 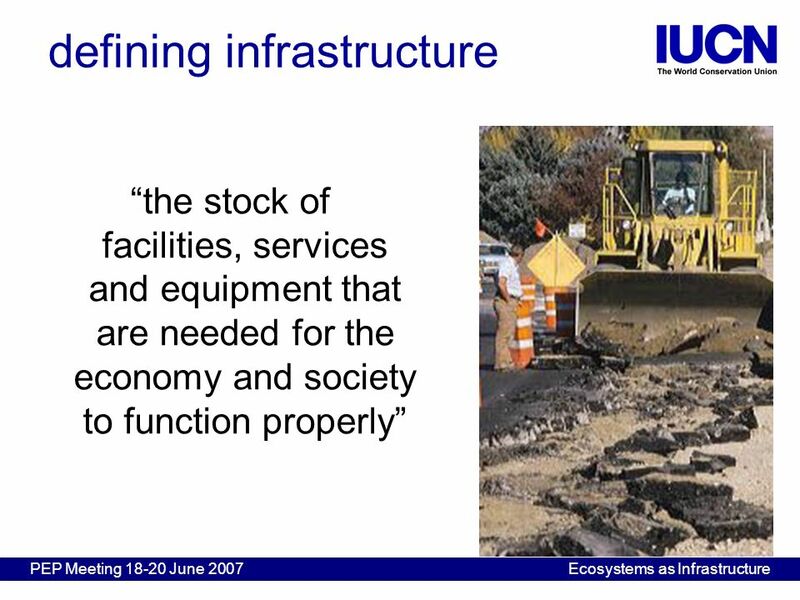 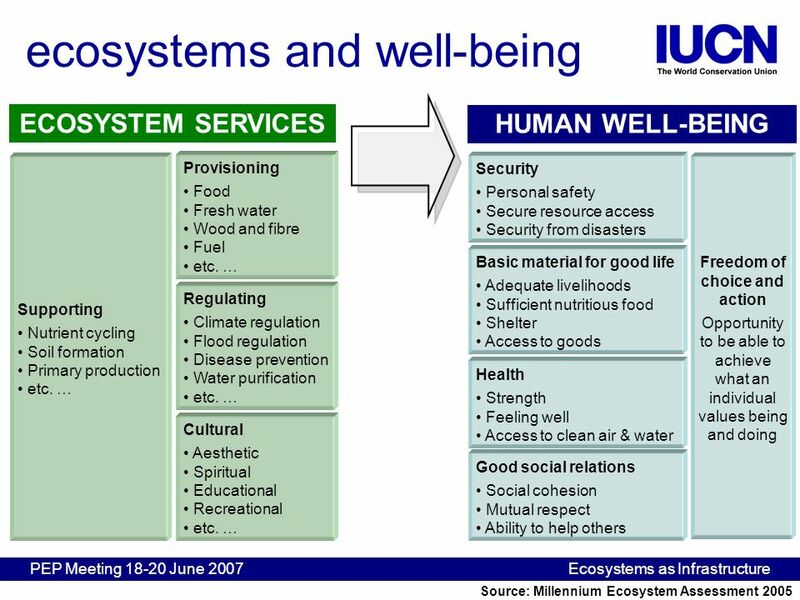 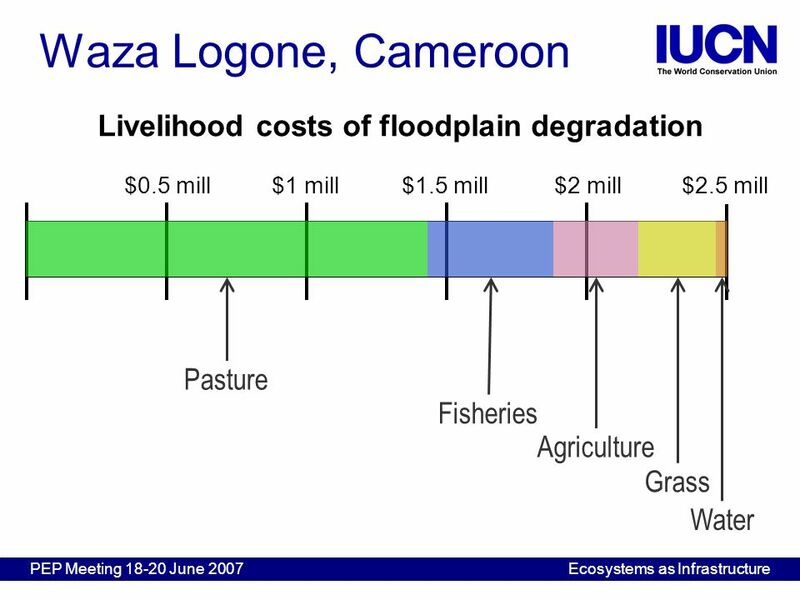 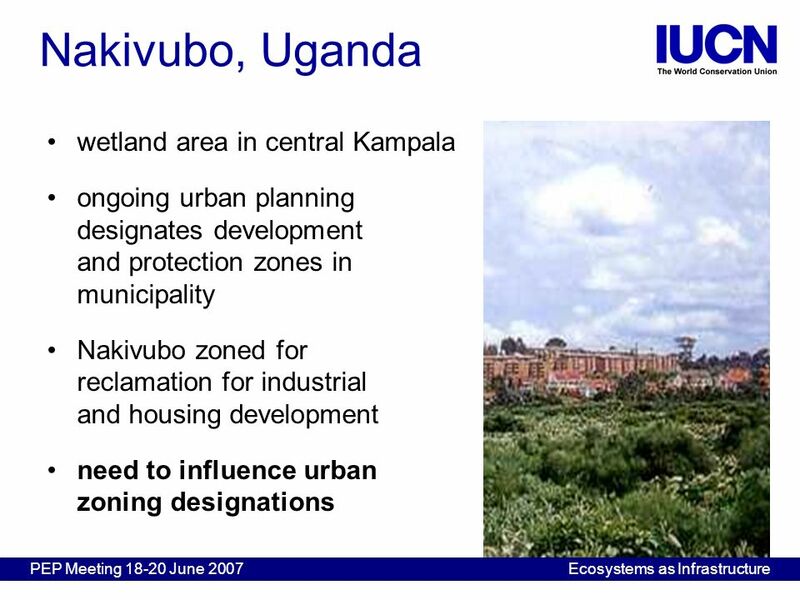 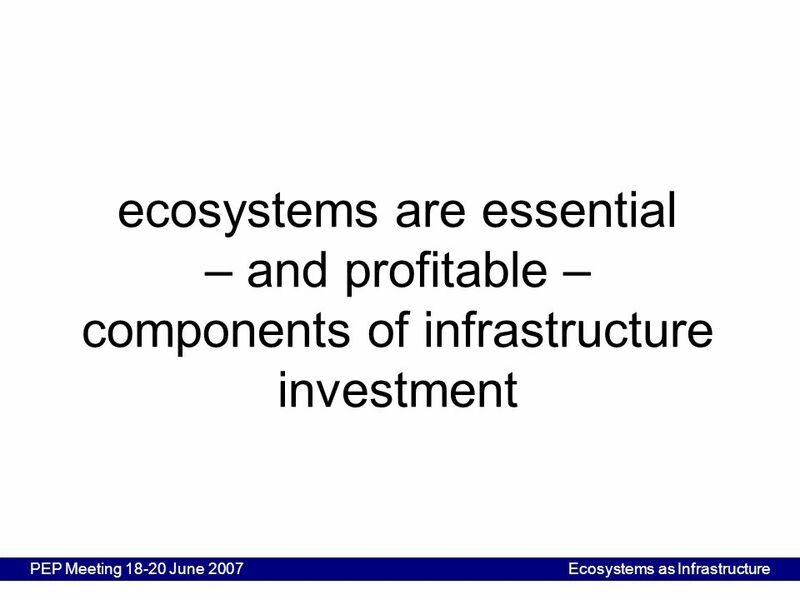 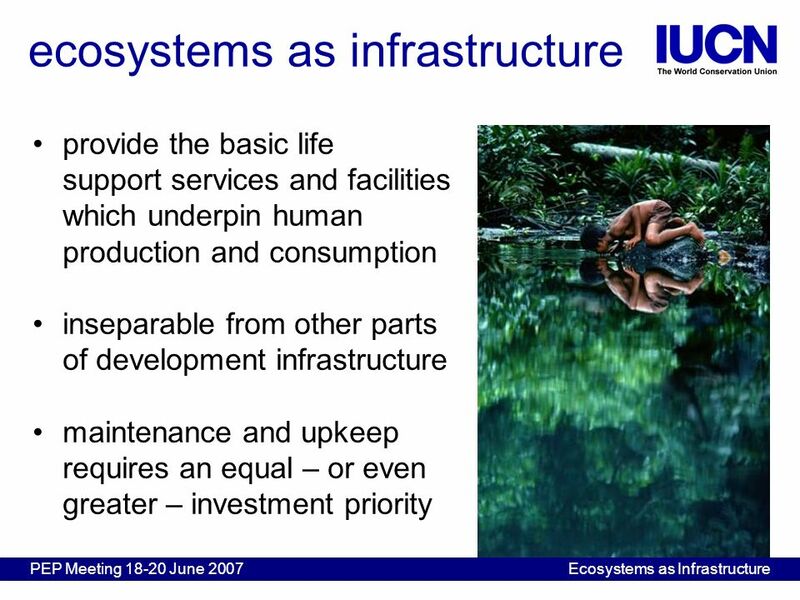 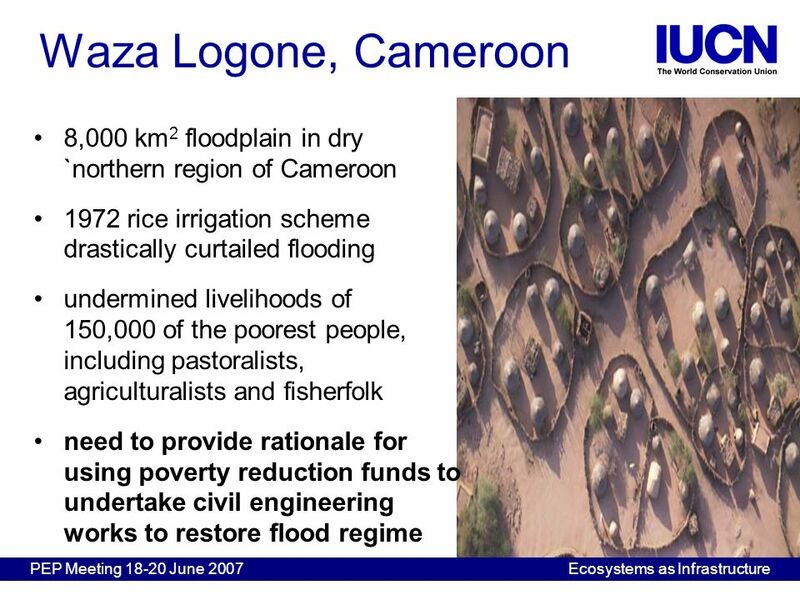 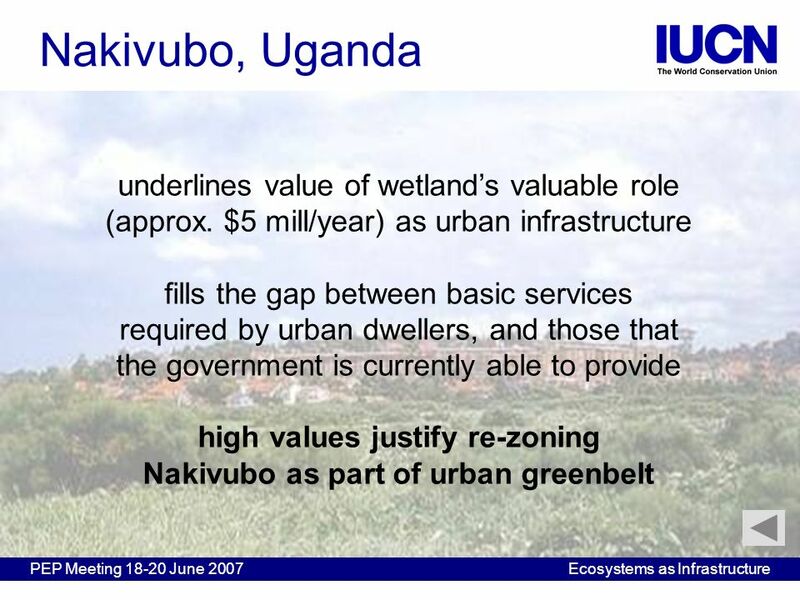 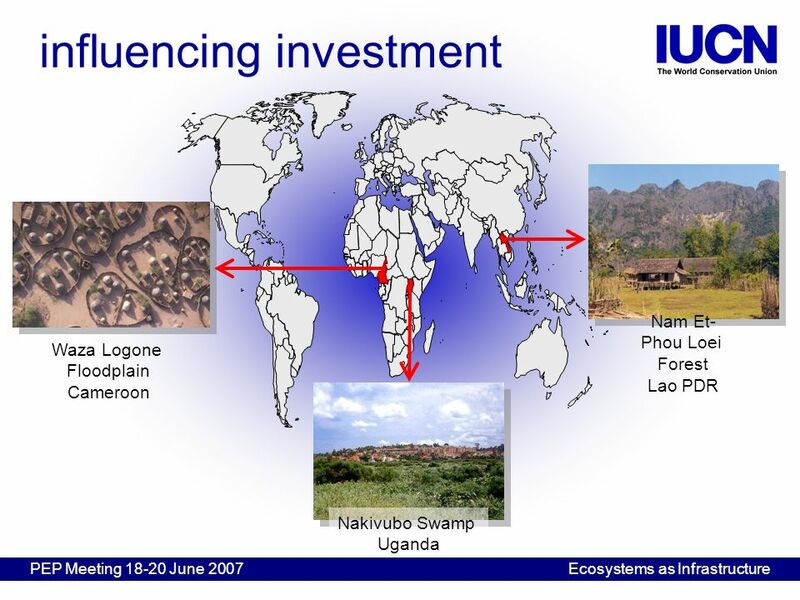 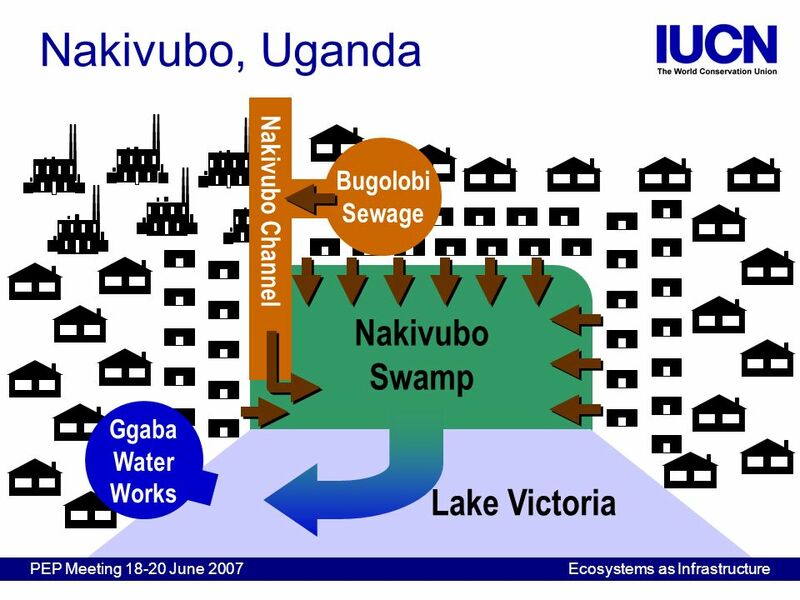 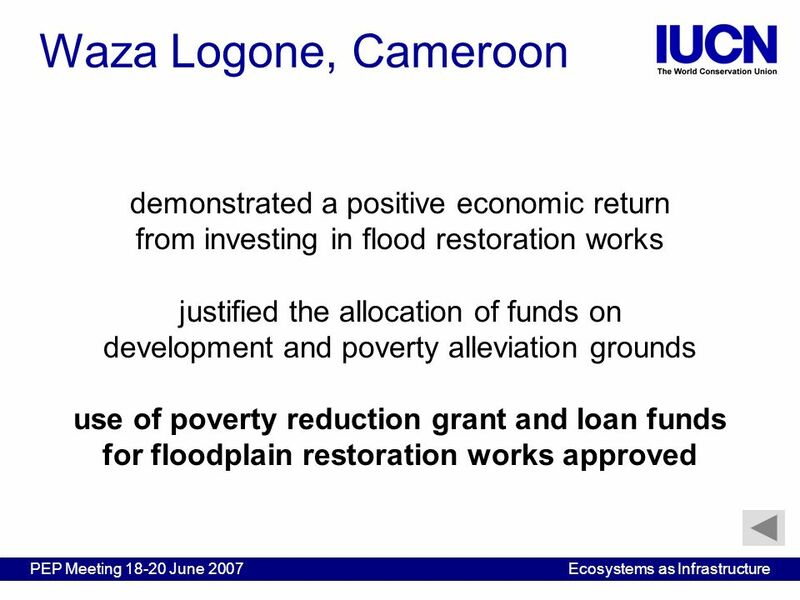 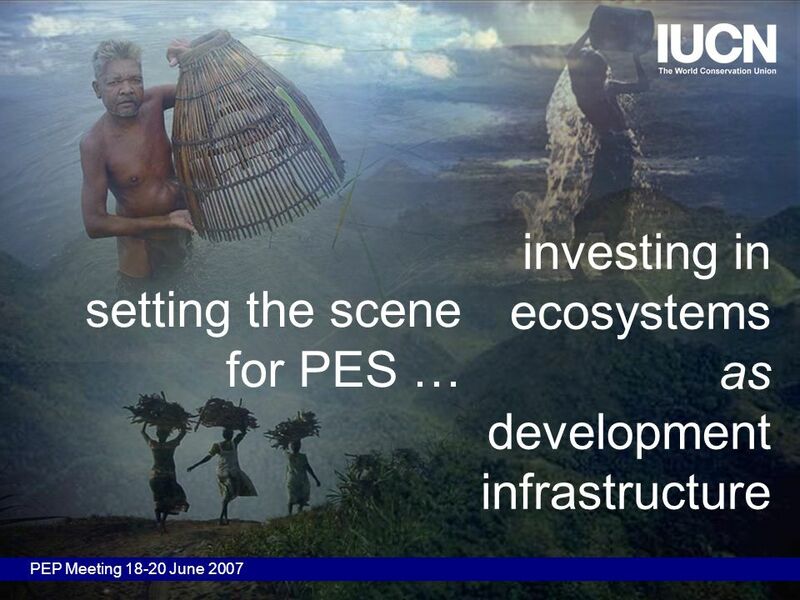 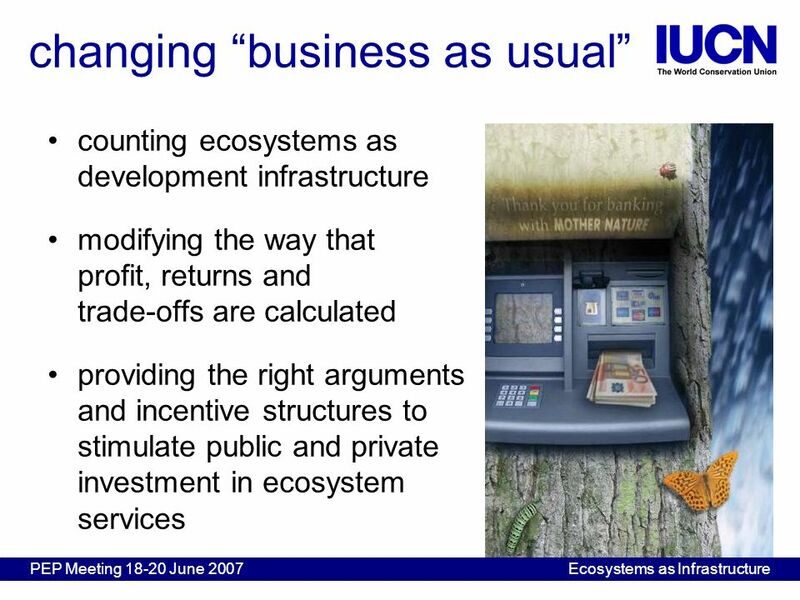 Download ppt "Investing in ecosystems as development infrastructure PEP Meeting 18-20 June 2007 setting the scene for PES …"
[ ] Environmental policy in the era of the MDGs Overview: 1.What do we know about poverty – environment linkages? 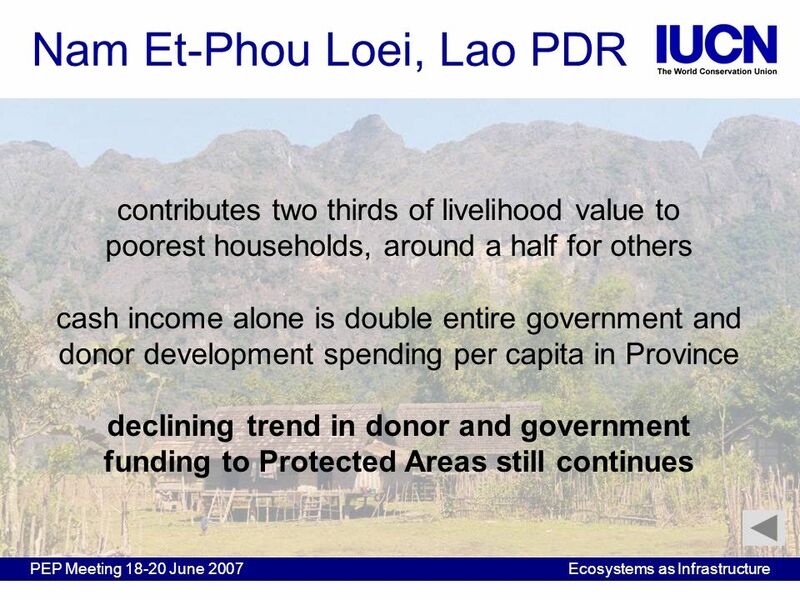 2.What have we learned. 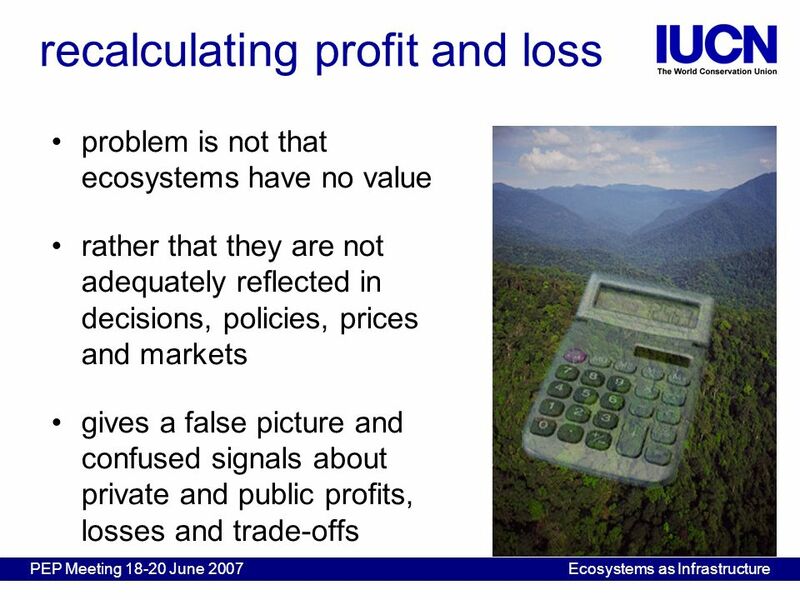 Forests in a June What is a Green Economy? 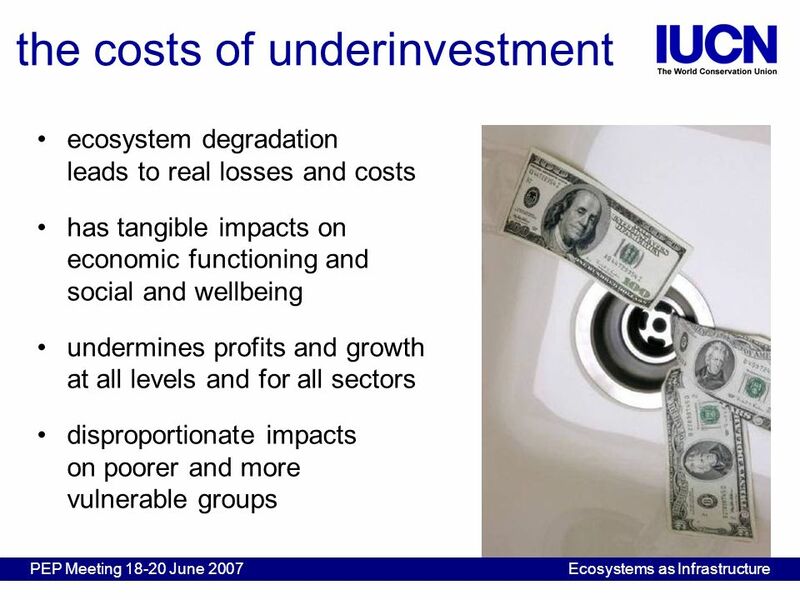 A Green Economy is one that results in increased human well-being and social equity, while significantly. 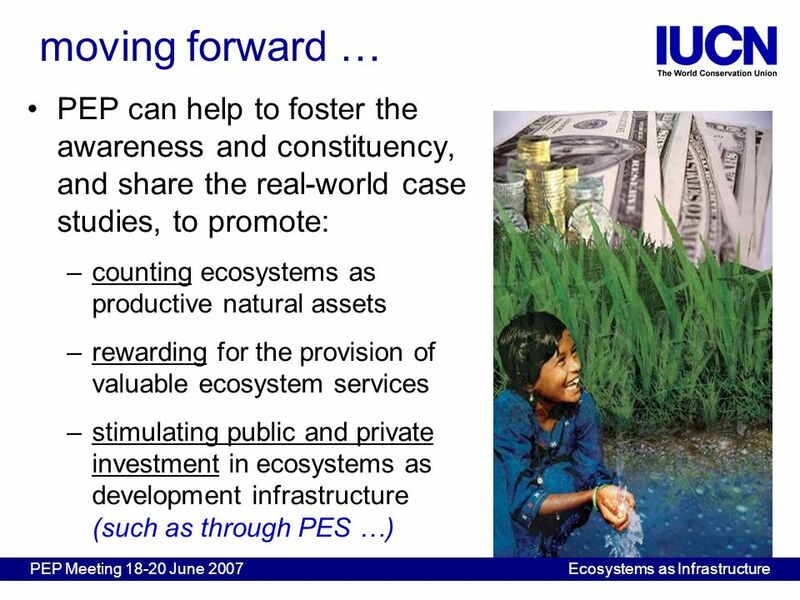 A just world that values and conserves nature Conservation for Poverty Reduction Initiative IUCN launched its Conservation for Poverty Reduction Initiative. 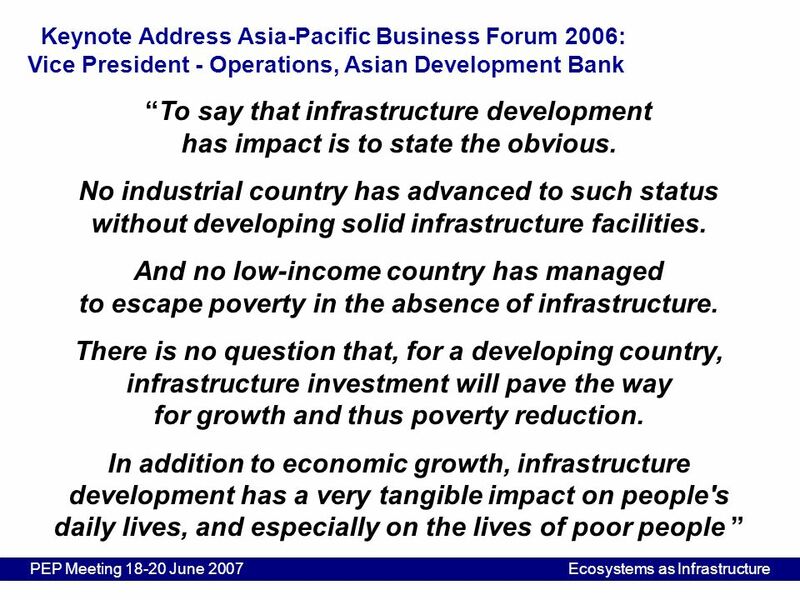 ADB & its Strategy in Bangladesh: Md Shamsuddoha Equity and Justice Working Group EQUITYBD. 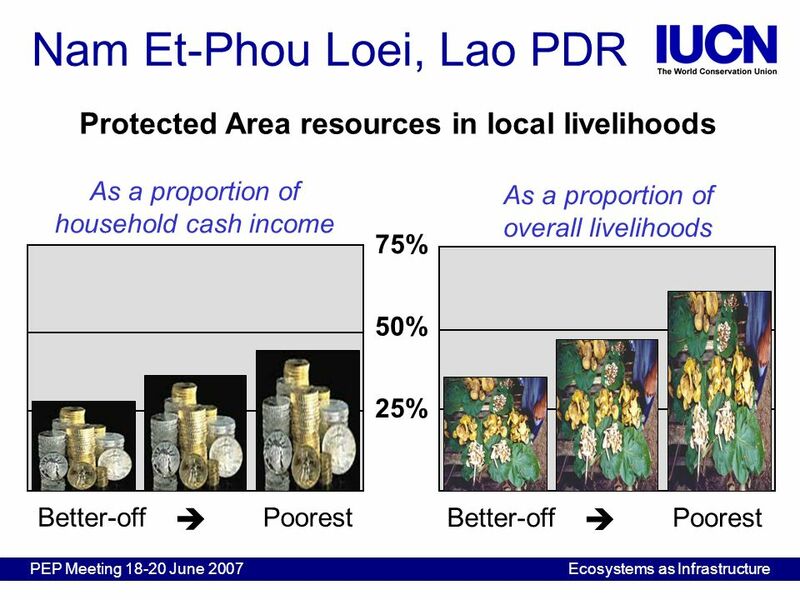 Asia and the Pacific Rural enterprises and poverty reduction. 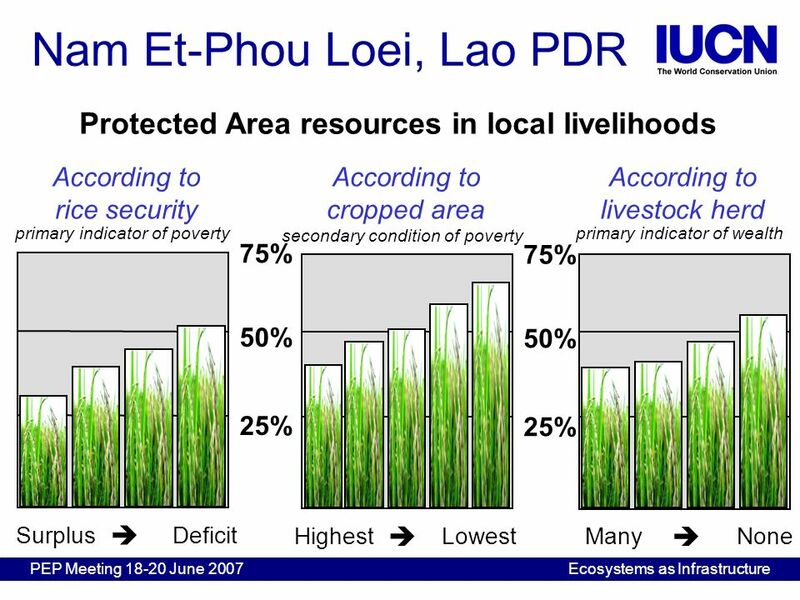 Improving agricultural livelihoods Lessons for the Australia Afghanistan Community Resilience Scheme. 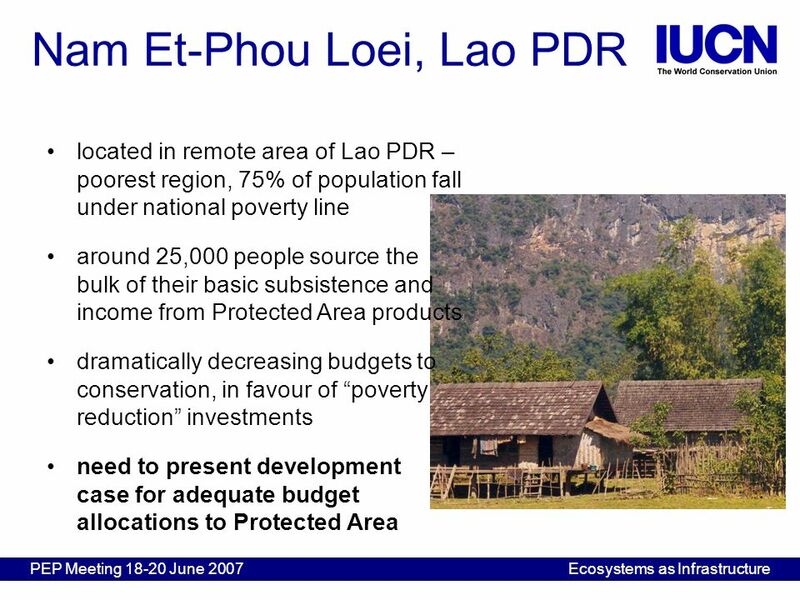 ECONOMIC EVIDENCE FOR ACHIEVING INCLUSIVE GREEN ECONOMY UNDP-UNEP POVERTY & ENVIRONMENT INITIATIVE – AFRICA PRESENTATION SESSION 5 POVERTY ERADICATION. 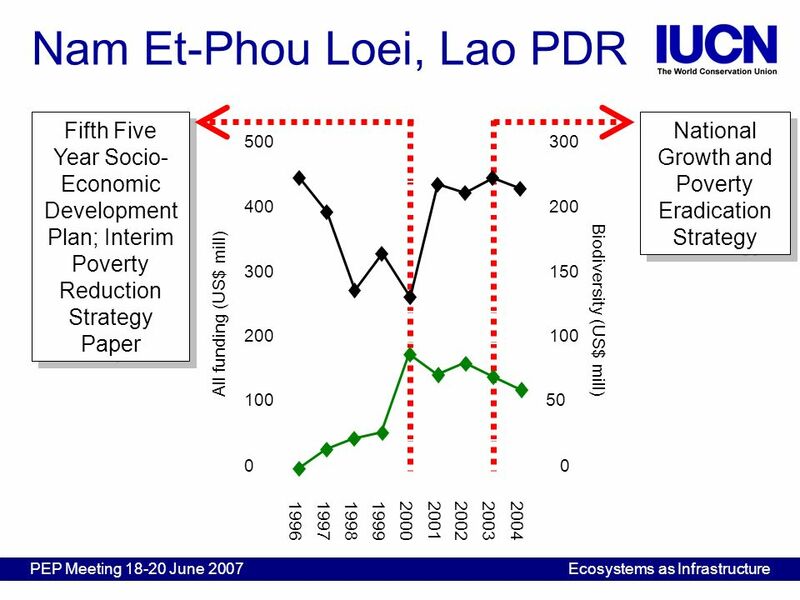 SESSION 2 Identifying Synergies Among MEAs Using IEA Tools.